Former medical school classmates of an emergency room physician who was shot and killed by her ex-fiancée in a shooting last year at Mercy Hospital in Chicago have created a scholarship fund to honor her with a medical school scholarship created in her name. 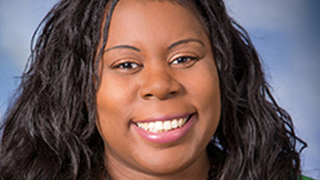 Dr. Tamara O’Neal was shot and killed by Juan Lopez on Nov. 18. She was one of three victims the gunman killed before taking his own life. Former classmates who attended UIC College of Medicine—which O’Neal graduated from in 2014—have raised $68,000 to support a first-year medical student in the University of Illinois’ Urban Health Program, according to the Chicago Sun-Times. The friends hope that if the Tamara O’Neal MD Scholarship Fund raises more money, they will be able to create a second scholarship that would support a fourth-year medical student who plans to complete their residency in the same field O’Neal chose—emergency medicine. Chisalu Nchekwube, a family medicine resident at Advocate Christ Hospital in Oak Lawn, was close friends with O’Neal during medical school. A fitting tribute to the Mercy Hospital emergency room doctor who volunteered to teach clinical residents in her free time.